The M6 is a car created by Motorsport GmbH performance division of BMW (therefore uses the “M” prefix) and derived from the redesigned 6-Series. The new 2013 BMW M6 Convertible features an imposing body design, an extremely exclusive character and incorporates many new high-performance features. 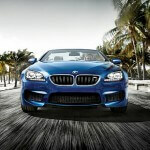 The 2013 BMW M6 is offered in one trim level, starting at $114,650 MSRP. Standard features include 19-inch alloy wheels, a power-operated fabric top, adaptive suspension dampers, automatic adaptive xenon headlights, sun-reflective Merino leather upholstery, carbon-fiber trim, heated and power-folding mirrors, automatic wipers, keyless ignition, keyless entry, dual-zone automatic climate control, auto-dimming mirrors, front and rear parking sensors, auto start-stop function, rearview camera, front seats memory functions, a power tilt-and-telescoping leather-wrapped steering wheel and interior ambient lighting. The 2013 BMW M6 Convertible also has a Bluetooth connectivity, BMW’s iDrive interface, a navigation system and an audio system with a CD player and iPod/USB interface. The Executive package includes LED headlights, a heated steering wheel, soft-close automatic doors, massage functionality for the front seats, and smartphone app integration. Also available is the Driver Assistance packsge which includes a lane-departure warning system, automatic high beams, a blind-spot monitor and a speed limit information system. A premium Bang & Olufsen sound system, ventilated front seats and 20-inch wheels are also available as options. The ST is a performance-oriented model of Fiesta. The 2014 Ford Fiesta ST is an all-new model that was developed by the combined efforts of Team RS in Europe and SVT in the United States, and it is a part of ST Ford’s performance brand that debuted in North America with the launch of the Focus ST. The 2014 Ford Fiesta ST is a sub-compact, front-wheel drive five-passenger hatchback that has a plenty of power in a lightweight body. 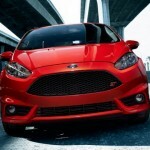 The new 2014 Ford Fiesta ST comes with a turbocharged 1.6-liter four-cylinder engine that produces 197 hp and 214 lb-ft of torque. This powerful engine comes together with a six-speed manual transmission, performance-tuned steering, performance-tuned suspension and an electronic torque vectoring to aid high-speed handling in corners. The Fiesta ST comes standard with SYNC (Ford’s Bluetooth connectivity system that allows smartphone uses to place calls and stream music by using voice commands or steering wheel-mounted buttons) and MyFord Touch (an infotainment system that builds on SYNC by letting users control everything from navigation to climate control to the sound system with voice commands and replaces conventional sound system knobs and buttons with a center-mounted 6.5-inch touchscreen). 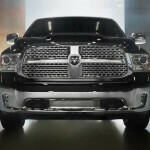 Ram Trucks was established in 2009 as a division of Dodge, which is a subsidiary of Chrysler. Starting with 2009, the popular Dodge RAM line of pickups is sold under the Ram brand, that focuses on real truck customers, rather than casual truck buyers. 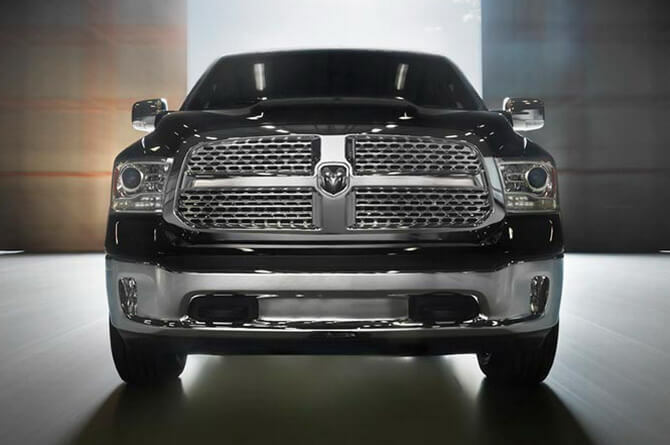 The new 2013 Ram 1500 is the first Ram model which was radically redesigned under the new brand, even if still preserves some elements of the old Dodge RAM. The 2013 Ram 1500 is a full-size pickup that offers an all-new interior with upgraded materials and innovative features, a bold styling with an aggresive design, powerful engines and it is ideal for work and play. The Ram 1500 is available in multiple body styles (Regular cab with standard or extended cargo bed, Extended cab and Crew Cab with standard or extended cargo bed) and six main trim levels: Tradesman, SLT, Sport, Laramie, Laramie Longhorn and Laramie Limited. The competitors of Ram 1500 are Chevrolet Silverado 1500, Ford F-150 and Toyota Tundra. The worker 2013 Ram 1500 Tradesman comes standard with 17-inch steel wheels, automatic headlights, black bumpers, vinyl floor covering, air-conditioning, vinyl upholstery, a 40/20/40-split front bench seat, a tilt-only steering wheel, power windows, cruise control, a folding rear bench seat (extended-cab only) and a 6-speaker audio system with iPod/USB interface. Available options for the Tradesman include keyless entry, power locks, power windows and power mirrors. The Ram 1500 SLT includes all the above and adds 17-inch alloy wheels, chrome exterior trim and a power-sliding rear window. The Luxury Groups adds additional interior lighting, an auto-dimming rearview mirror, power-folding outside mirrors, a leather wrapped steering wheel with audio controls and a 7-inch multifunction in-dash display. 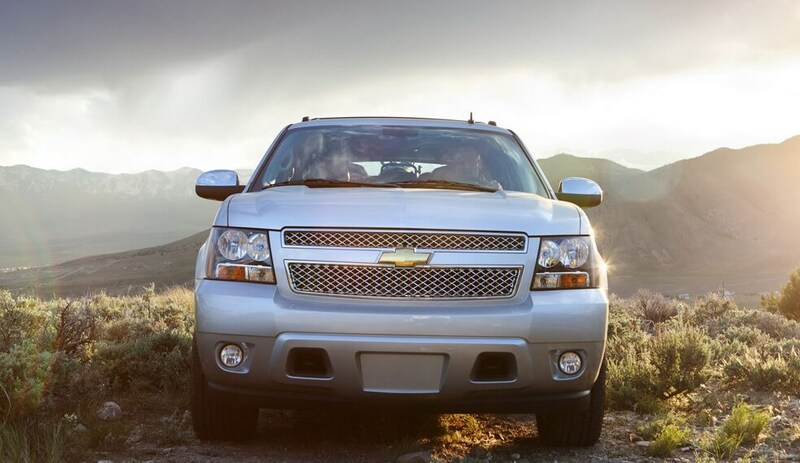 The Chevrolet Avalanche, which first debuted in 2002, has now entered in the final year of production. For this reason, all 2013 Avlanche receive the “Black Diamond” addition to their name, along with more standard features that were previously optional. The 2013 Chevrolet Black Diamond Avalanche is a full-size crew-cab pickup that offers the utility of a pickup truck and the comfort of an SUV. 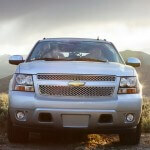 The 2013 Chevy Avalanche competes with Ford F-150, RAM 1500, Toyota Tundra and Chevrolet Silverado. The 2013 Chevrolet Black Diamond Avalanche offers a spacious and comfortable cabin, a powerful engine, a plenty of cargo space and good hauling capacity, and it is offered in three trim levels: base LS, midrange LT and premium LTZ. The base LS comes standard with 17-inch alloy wheels, foglights, heated mirrors, automatic headlights, a roof rack, rear privacy glass, remote ignition, rear parking sensors, air conditioning, cruise control, six-way power front seats, power-adjustable pedals, a leather-wrapped steering wheel, a rearview camera, Bluetooth connectivity and a 6-speaker audio system with CD player and iPod/USB interface. The LT adds a locking rear differential, heated front seats, dual-zone automatic climate control and a seven-speaker Bose sound system. 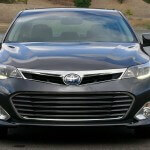 The All-Star package adds chrome exterior trim, polished wheels and power-folding mirrors. The LTZ adds to a LT with All-Star package a 20-inch alloy wheels, an auto-dimming rearview mirror, driver seat memory functions, 12-way power-adjustable cooled and heated front seats, perforated leather upholstery, a heated steering wheel, a navigation system, an eight-speaker Bose sound system and an adaptive suspension with automatic load leveling. The Z71 Off Road package adds upgraded 18-inch off-road tires, front recovery hooks and a high-capacity air cleaner.